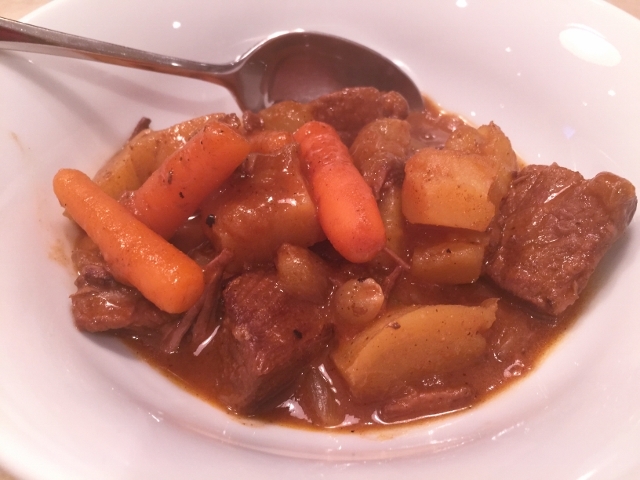 Slow-Cooker Beef Stew - Recipe! Great for a Crowd! - Live. Love. Laugh. Food. 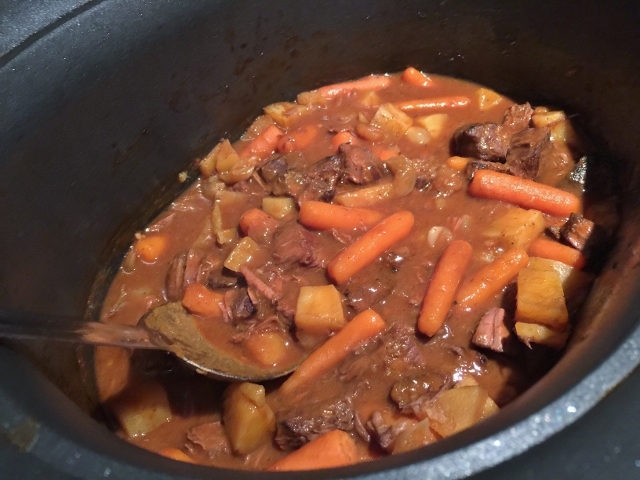 Slow-Cooker Beef Stew – Recipe! Great for a Crowd! 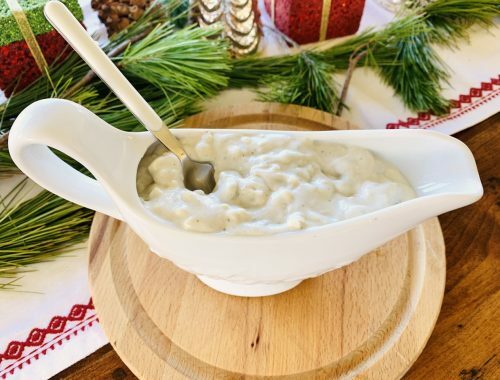 This time of year feels like stew season and even in Los Angeles, we are finally having our share of cooler weather and we are not complaining about it. Stews are the perfect heart warming meal that are easy to put together and taste as if you have slaved over a hot stove all day. 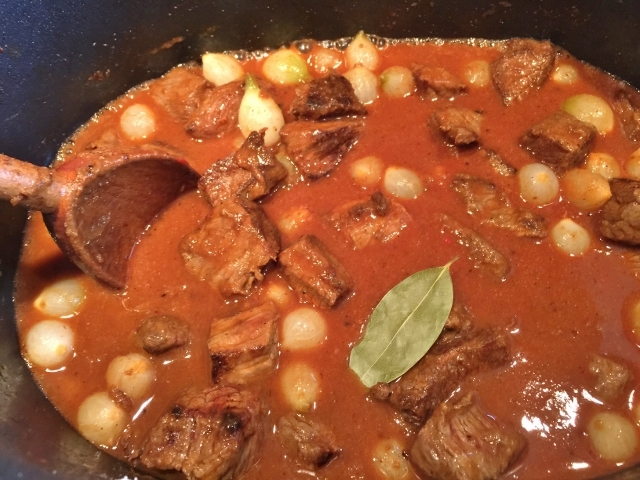 Beef Stew is a family favorite because of the hearty flavors and richness in the sauce. 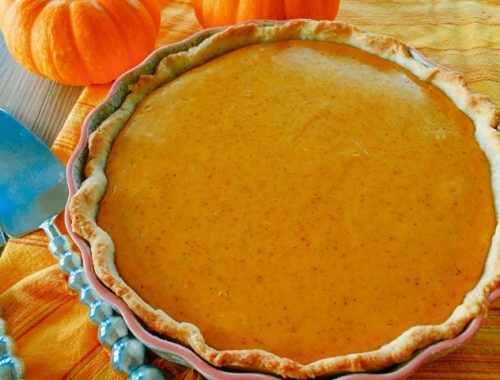 I like to make this recipe when I am having family over for dinner or for a party because it is easy to feed a larger group. 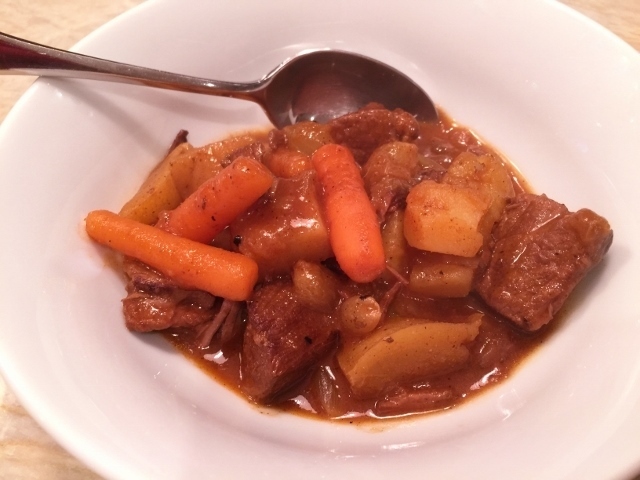 Even if it’s just the two of you, this Slow Cooker Beef Stew is great for leftovers. You can freeze this stew and reheat it when you are ready to have another delicious bowl. 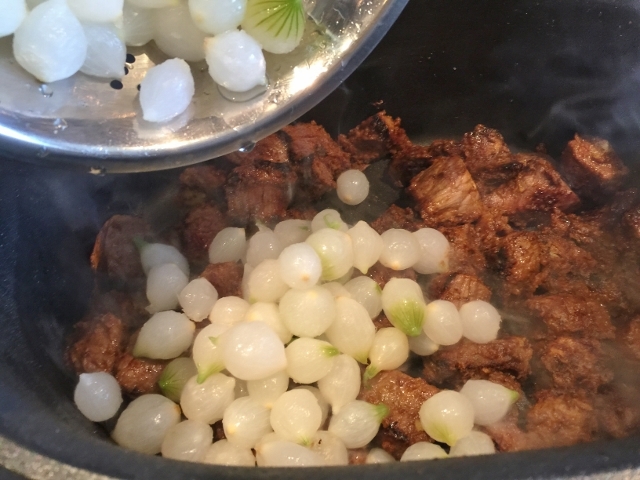 As for the ingredients, it’s easy — a couple pounds of stew meat from the butcher, thawed pearl onions, carrots, potatoes and a few pantry items. 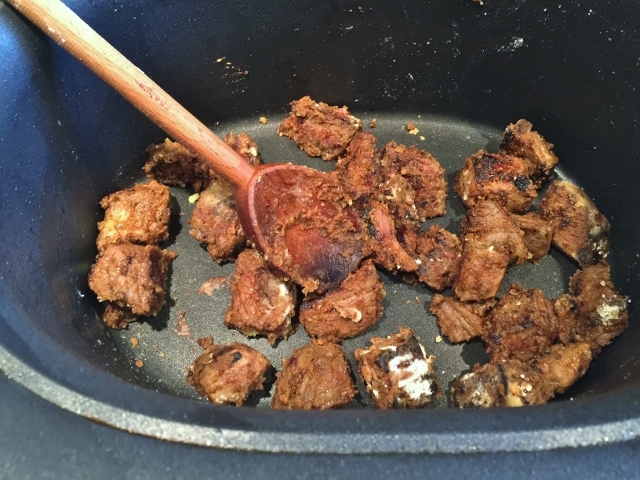 If you don’t have a slow cooker, you can make this recipe in a stockpot on the stove, just follow the steps and simmer for 2 1/2 hours, until the meat is fork tender. 1. In a bowl, mix together the onion powder, smoked paprika, cumin, salt and pepper. 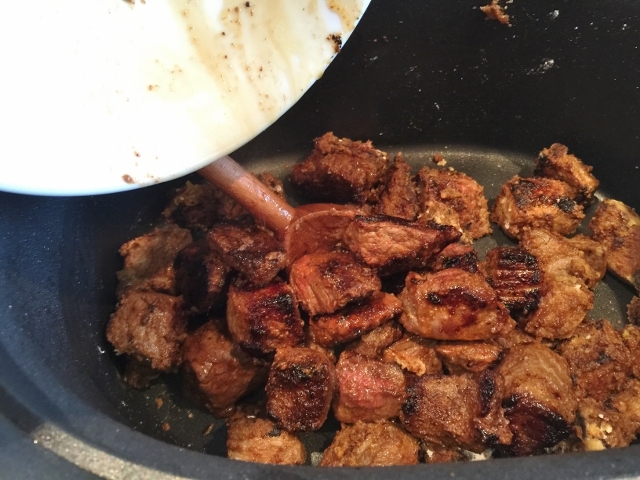 Toss the stew meat in the dry herbs. 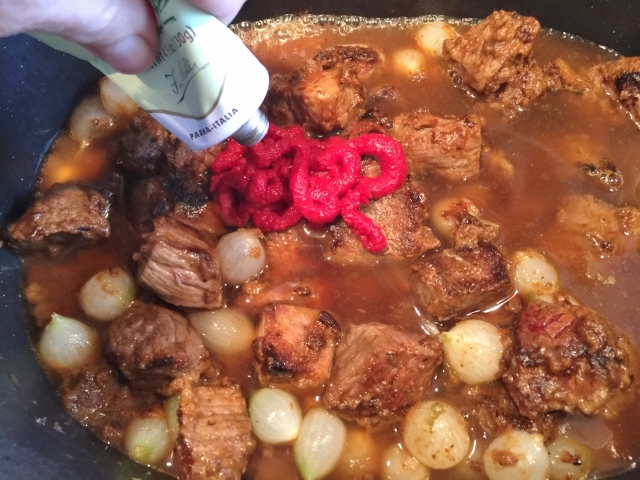 In the insert of your slow cooker or in a large stockpot, add 3 tablespoons of olive oil. Heat the oil on medium-high heat for 2 minutes and add the meat in batches to the pan. 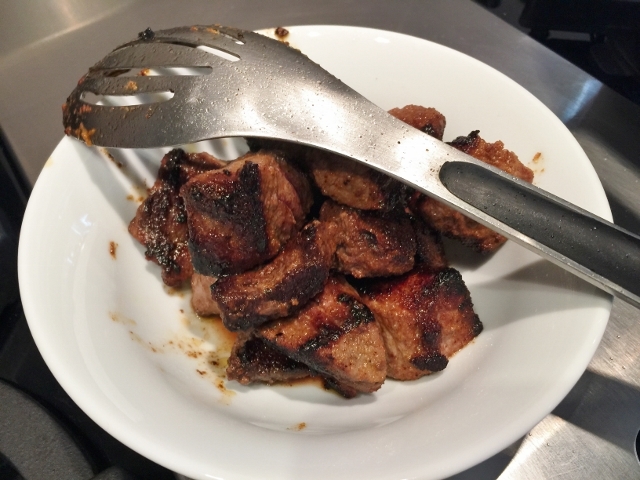 Sear the meat until dark brown and place it in a bowl as the meat browns, then add more fresh meat. 2. 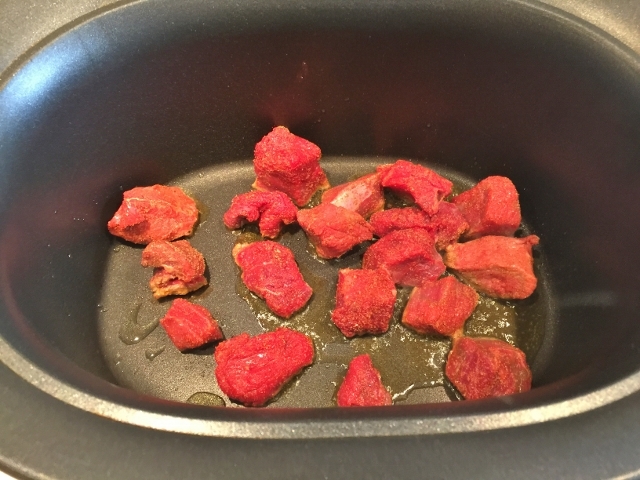 Next, sprinkle the arrowroot over the last batch of meat while it is still cooking and stir together for 2 minutes to remove any raw flavor. 3. Add back all of the seared meat and the drained pearled onions. 4. Next, add the beef broth and 1 cup of water to the meat and stir to combine. 5. Then, add the tomato paste and bay leaf and stir to combine. 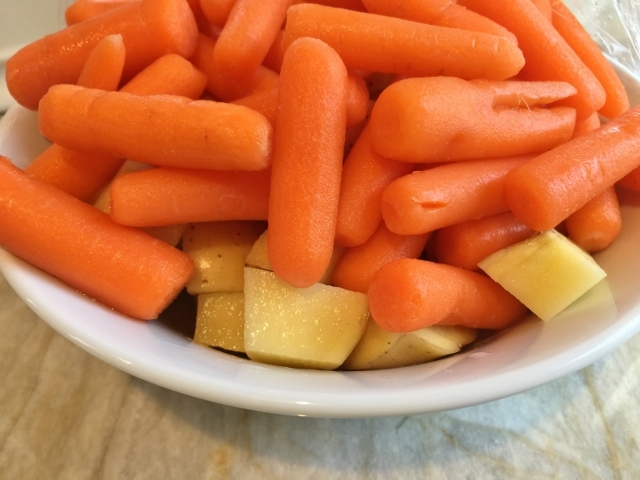 If you are not using a slow cooker, add the carrots and potatoes and turn the heat down to simmer and cook the stew for 2 1/2 hours. 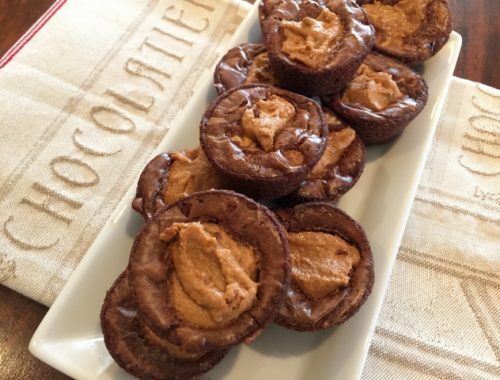 If you are using the slow cooker, place it in the heating element and set for 8 hours on low. 6. After 2 hours add the carrots and potatoes to the slow cooker, stir to combine and cook for 6 more hours. If you can’t add the veggies later to the slow cooker, add them at the beginning of the cooking cycle, they may just be a little softer. 7. Remove the lid and stir. 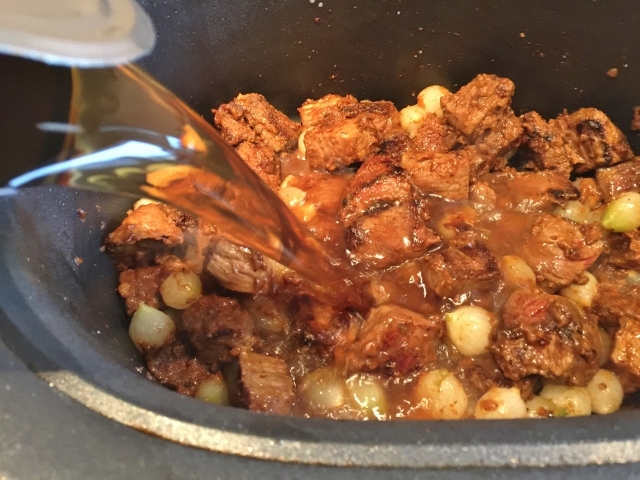 Ladle the stew into bowls and Enjoy!